Bellevue University's Security Management Degree Program Considered for Prestigious ASTORS Award...Again! Bellevue University's Security Management Degree Program is in the running for its third consecutive 'ASTORS' Homeland Security Awards Program for Best Homeland Security Education. 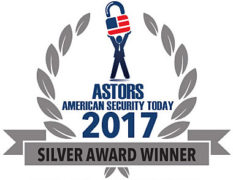 The award is presented by American Security Today, a top publication that focuses on new and evolving homeland security threats. Over 100 professionals and institutions in the security industry across North America and the Middle East are considered for the ASTORS. At Bellevue University, innovative, dynamic degree programs set the pace in adult learning. Students who complete the degree program will master the areas of expertise critical to the security management field. Additionally, students master Power Skills™ like critical thinking, decision-making, communication, and organizational leaderships skills required for safety, security, and risk management roles.